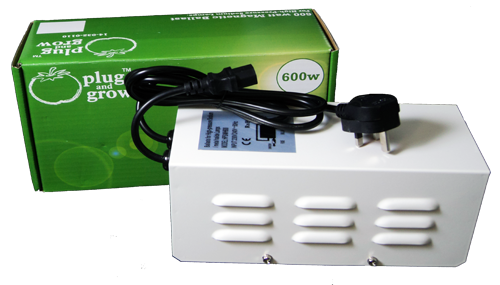 Nanolux Ballasts are revolutionizing the world of indoor gardening. The Nanolux digital HID ballasts are the smallest, lightest and most stable digital-electronic HID ballast available today. Nanolux digital Ballasts are revolutionizing the world of indoor gardening. The Nanolux digital HID ballasts are the smallest, lightest and most stable digital-electronic HID ballast available today. Nanolux has leaped beyond current digital ballast designs and created a new product tailored to growers needs. Nanolux ballast is programmed with a ‘soft start’ and ‘soft dim’ feature. The soft start feature is designed to extend the lifetime of your HID bulbs. As the ballast warms up during ignition or when the ballast is turned to another power setting, the ballast will slowly adjust the power level over the course of 15 minutes. The ballasts also feature a random start feature. When multiple ballasts are used, the Nanolux senses this and each individual ballast will start within a 15 second window which will lower the initial amperage draw when the a lighting cycle is started. 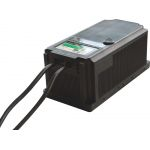 Nanolux ballasts will strike both Metal Halide and High Pressure Sodium lamps. Flexibility is also delivered by the Nanolux ballast with a dimming switch. This gives the grower the option of running at a power output of 100%, 75% or 50%.